The smell of fresh popcorn in an air-conditioned theater–who doesn’t love a summer trip to the movies? Check out these 6 great movies to bring your family to this summer! This latest offering in the mighty Star Wars franchise is a prequel in which young Han first meets future co-pilot Chewbacca and encounters Lando Calrissian (a character introduced in Episode V, The Empire Strikes Back). Though the plot is being kept under wraps until the film opens, look for a strong supporting cast accompanying young Solo on his fast-paced galactic adventures. Starring Alden Ehrenreich, Donald Glover, Emilia Clarke, and Woody Harrelson and directed by Ron Howard. It’s been 14 years since Pixar released The Incredibles, but the sequel appears well worth the wait, with wide-ranging appeal for kids as well as their parents (who will appreciate the in-jokes of superheroes getting stressed out by family life). Director Brad Bird and the original cast (including Holly Hunter, Craig T. Nelson, and Samuel L. Jackson) return. Young fans of these two series will get a kick out of these new animated films– one about a comic family of monsters and the other about a chummy band of superheroes, respectively. The language and positive messages are appropriate for small viewers, and nothing here is too scary or violent. If you saw the 2015 original, you’ll know that actors Paul Rudd and Evangeline Lilly play Ant-Man and the Wasp, a charismatic duo who can become super-small yet remain super-strong. Also starring Michael Douglas, Michelle Pfeiffer, and Laurence Fishburne. The film has more of a sense of humor than some of the other Marvel films, plus the thrilling action sequences we’ve come to expect from the franchise. Directed by Peyton Reed. A good choice for indie film lovers. 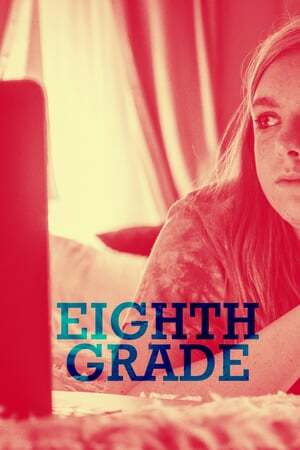 This coming-of-age story (part comedy, part drama), written and directed by Bo Burnham, had a great reception at the Sundance Film Festival. Critic Scott Menzel wrote: “This tour-de-force performance is one of the most authentic and honest portrayals of a teenager in cinema history.” In fact, the young woman playing the lead had never appeared on screen prior to this film. Want more ideas for fun kid activities this summer? Check ActivityHero.com for schedules, reviews, and easy booking.